SHIPPING WORLD WIDE from all warehouses. 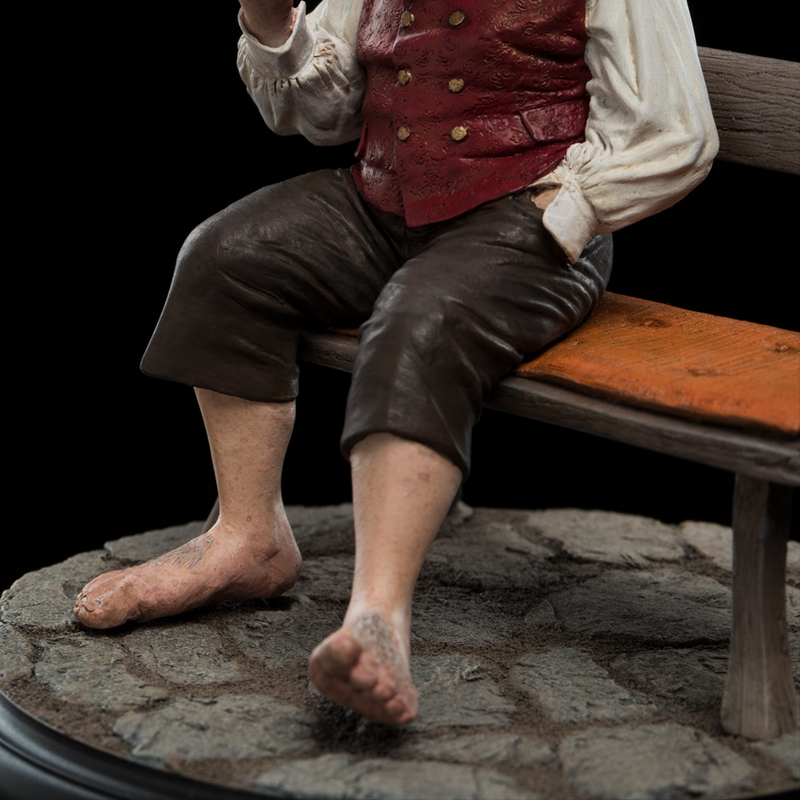 Earn 3.95 Weta Dollars! What's this? 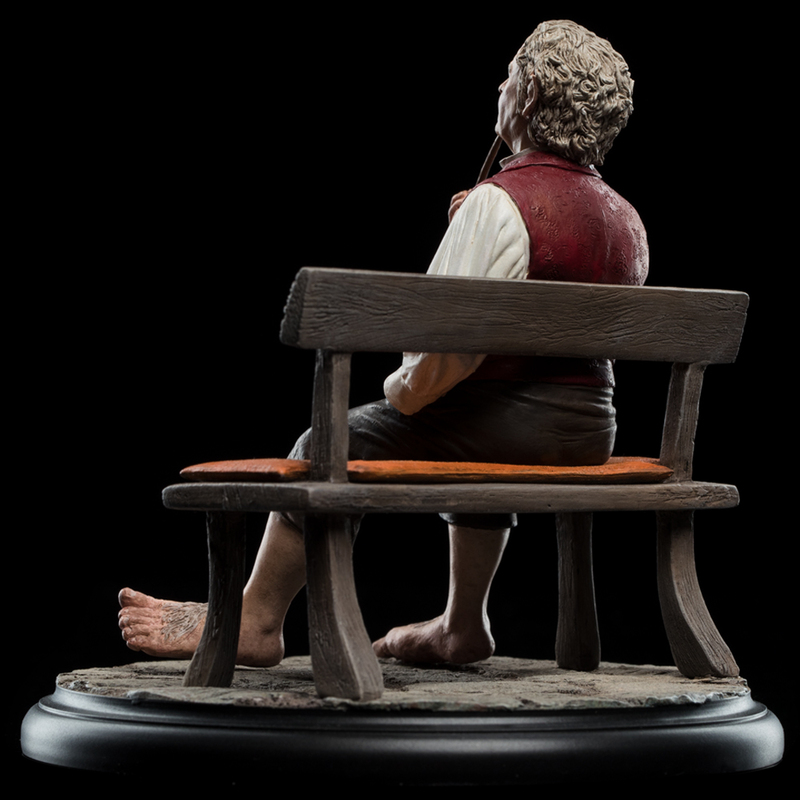 On the day of his one-hundred and eleventh birthday, Hobbiton’s most eccentric inhabitant sat upon his garden seat and reflected upon a long, full life. 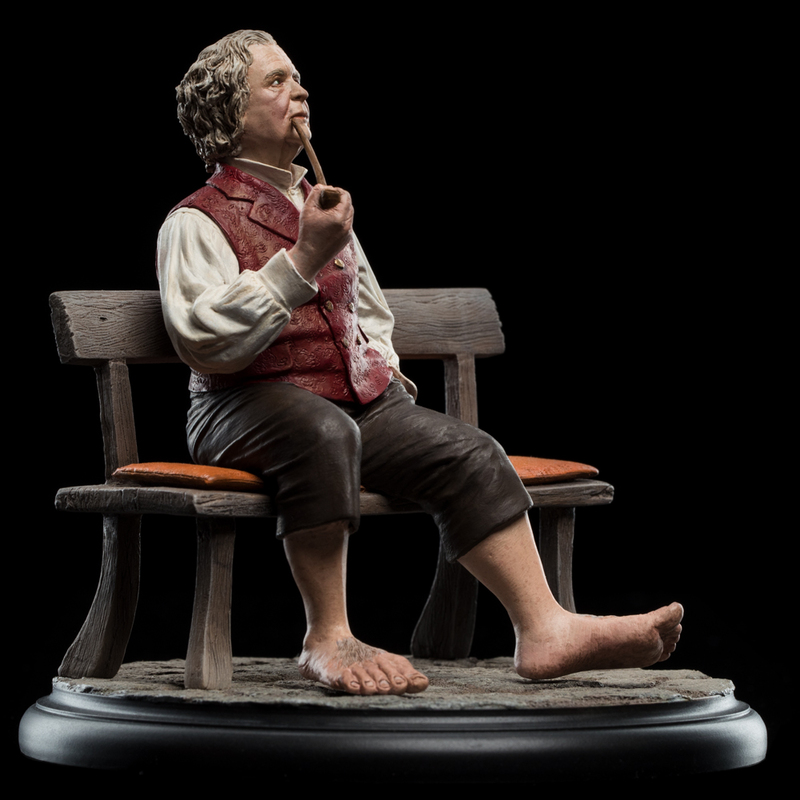 Like all Hobbits, Bilbo enjoyed the simple pleasures of good food and genial company, but where his kind generally eschewed excitement and avoided the outside world, the enigmatic master of Bag End was reputed to be recklessly adventurous. A friend to Elves and companion of Wizards, they said he was. Bag End, so it was whispered, was full of Dwarf gold. 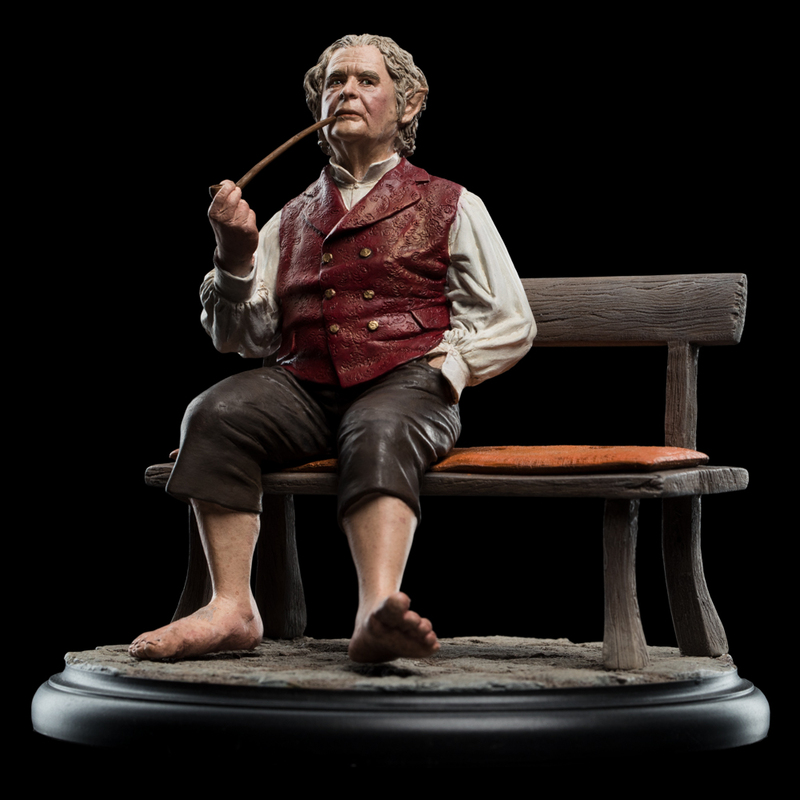 Bilbo delighted in the rumours that swirled about him and confounding the ambitions of his avaricious relatives, but on this day, looking back upon his years, his gaze wandered ever to the horizon, searching for the faint glimpse of snow upon some far off peak. The fire of adventure sparked and crackled once again in his old heart. 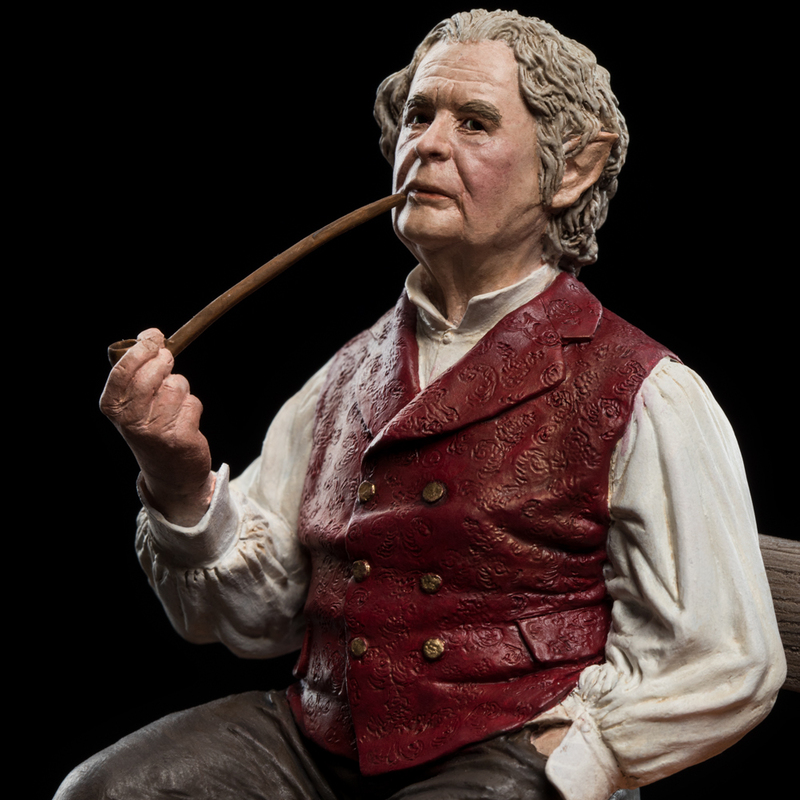 Expertly sculpted by Brigitte Wuest, lead sculptor on The Lord of the Rings trilogy, Bilbo Baggins is an iconic addition to your Weta Workshop miniatures collection.